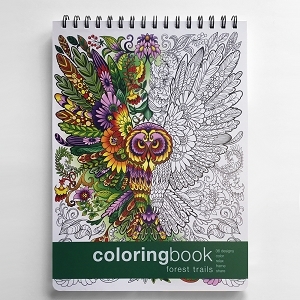 Professional Grade Geometric Adult Coloring Book for the Colorist. Frameable images. 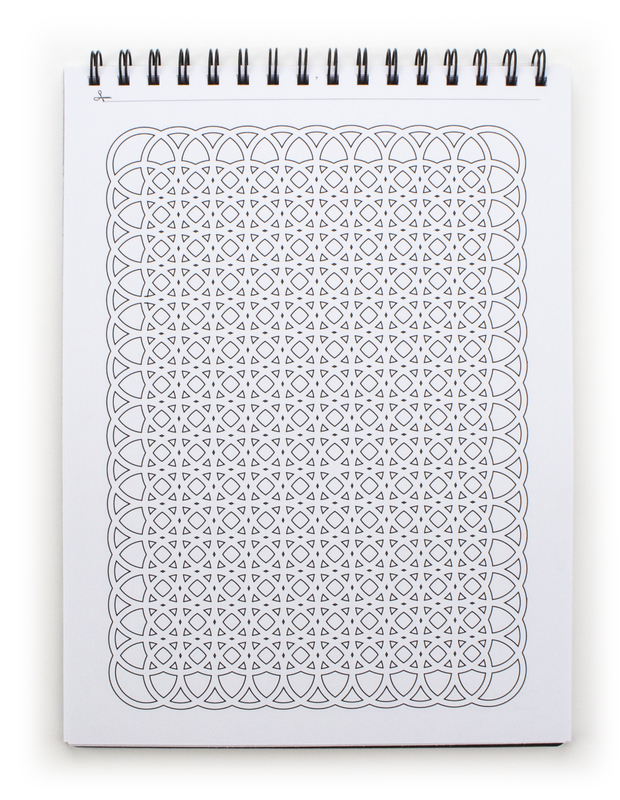 36 intricate designs printed single-sided on 90 lb. Acid Free Smooth Index SFI certified paper. Movable Plastic Protector Sheet. 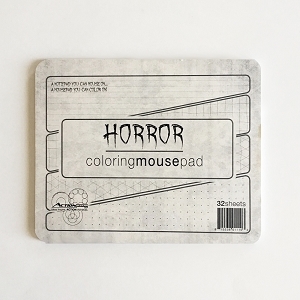 Protects every sheet from bleed through from the sheet being colored. 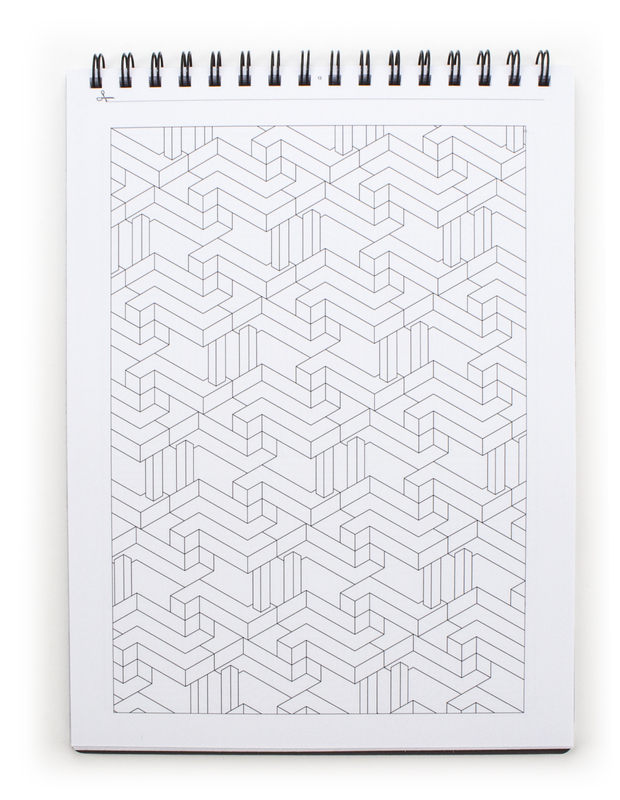 Get lost in a plethora of abstract tessellation and perspective drawings that stimulate the eye and the mind. 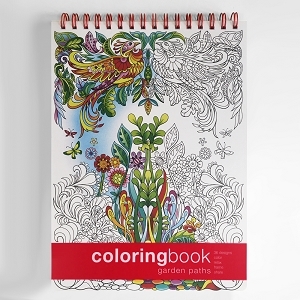 The Geometric Coloring Book is filled with 36 designs illustrated in a way that bends the mind. Once you open the first page you'll see some challenges, but theyÃ¢€â„¢re meant to ease the stress each day holds. 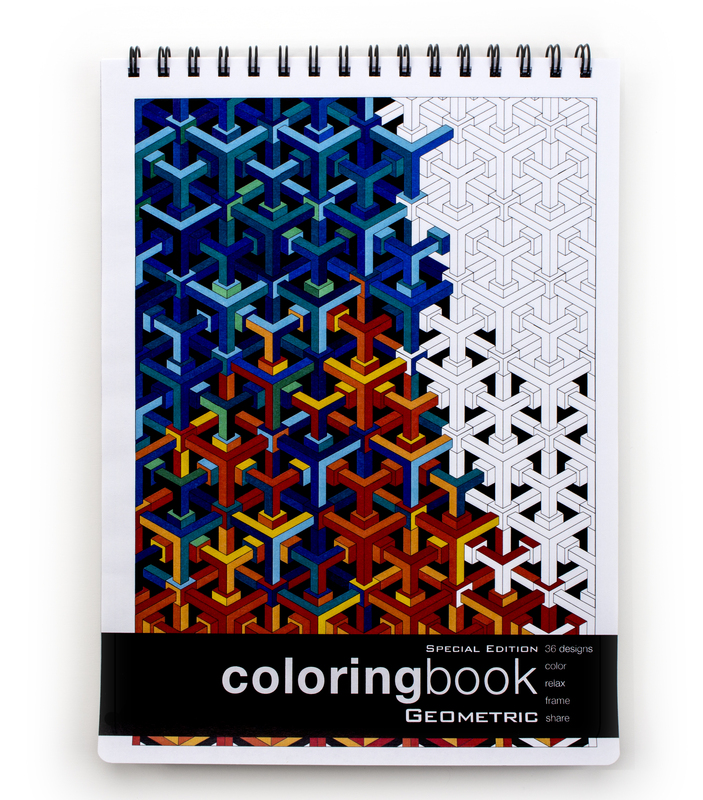 This gender neutral geometric coloring book is bound together with a metal double wire, made specifically for Action Publishing Inc. that is the toughest on the market. Each illustration is printed on 90 Ib. card stock so when you're taking your marker to the book, you can be sure it won't bleed through. 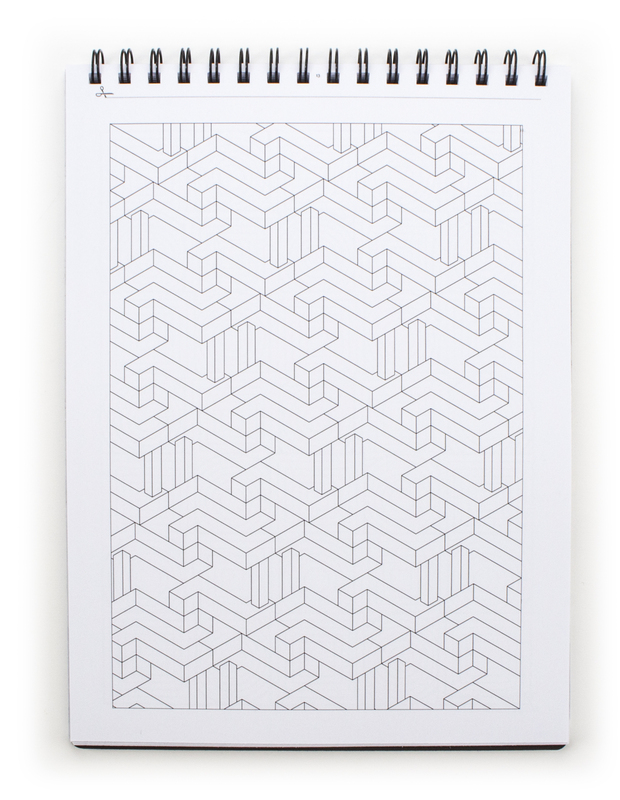 On top of that, each sheet of paper is environmentally friendly for a guilt free experience.